I've previously described an "ultrasound win," where bedside US helped prevent an unneeded (and fruitless) procedural sedation. 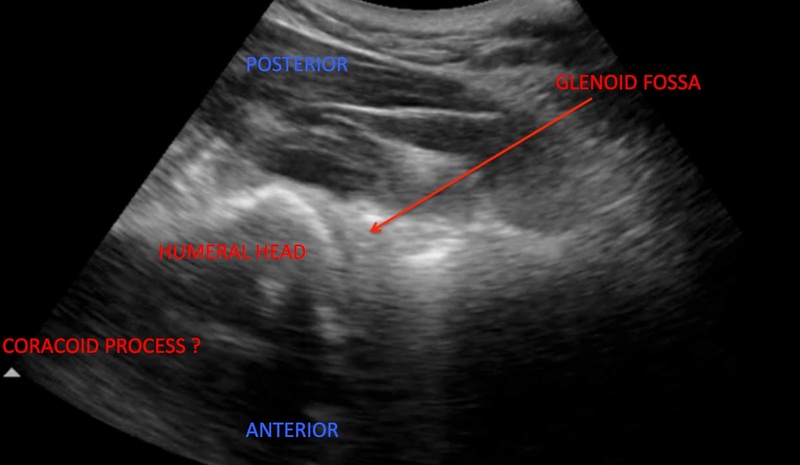 In this case, the ultrasound is used to confirm an infrequent type of dislocation. 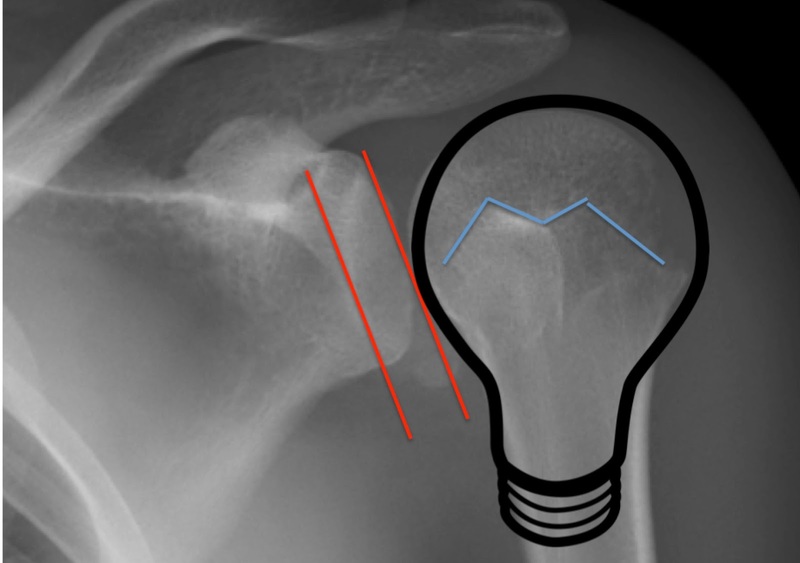 ...and suggested a posterior dislocation of the shoulder. Quite unusual! The x-ray shows at least 3 radiographic signs supporting a posterior dislocation: A rim sign (the two red lines), a light bulb sign (outlined by, well, the light bulb), and the "Mouzopoulos sign"(hightlighted by the blue "M"."). Nonetheless, some doubt remained, since posterior shoulder dislocations are infrequent, and we wanted the diagnosis to be certain before breaking out the propofol! So we did an ultrasound of the shoulder. Ultrasound for the .. Wait, "win" is already taken? The next time you have any concern about the shoulder, grab a quick posterior view, even if you are already getting an x-ray. This isn't rocket science, right? If your hypoxic patient has a high BNP and a wet CXR, then you give then a diuretic, and admit them. Done, next patient! Something Doc Cottle always carries: Lit cigarette. Something Doc Cottle never carries: Stethoscope. So, can focused echo help us change our acute management? TL; Will Read - Yes! An elderly male with a history of systolic & diastolic CHF is brought in by EMS. He describes an acute onset of dyspnea and wheezing 1 hour prior. Worse with lying down and exertion. Denies recent leg swelling or weight gain, and denies fevers, chills, or sputum. His systolic BP is > 200 mm Hg. No JVD, but prominent wheezing diffusely. Before the CXR, ECG, or labs can be obtained, a focused ultrasound is performed. … the EF appears to be only moderately decreased (chronic, per the last echo in the record). So how does clinical care change based on the ultrasound? The patient probably doesn’t have volume overload, given the markedly flat IVC. Indeed, he may actually be hyPOvolemic. The dramatic “hive” of B-lines in the anterior apices, however, suggests that he nonetheless has quite a bit of water in his lungs. *** Plenty of research has shown that the number of B-lines is proportional to increases in pulmonary wedge pressure, to increases in extravascular lung water, and even increases in BNP. So, despite the flat IVC, he most likely has acute decompensated heart failure, due to diastolic heart failure (Scott Weingart has referred to this as SCAPE). He isn’t volume overloaded, just volume maldistributed! Since the echo suggests that high systemic vascular resistance is the problem, and not sheer volume overload, he is given 3 nitroglycerin tabs under the tongue (yes, 3 tabs at once). His wheezing stops almost instantly, like someone had flicked a switch. The pro-BNP eventually came back at a kagillion, but his chest x-ray (obtained long after the nitro was given) looks benign. This complicates the dialogue with the admitting team. The skillful use of the stethoscope is a key element of the physical exam. Introduced in 1816, it afforded an unprecedented “view” inside the body. Since then it has evolved to become synonymous with being a physician (as well as nurse, paramedic, tech, etc. 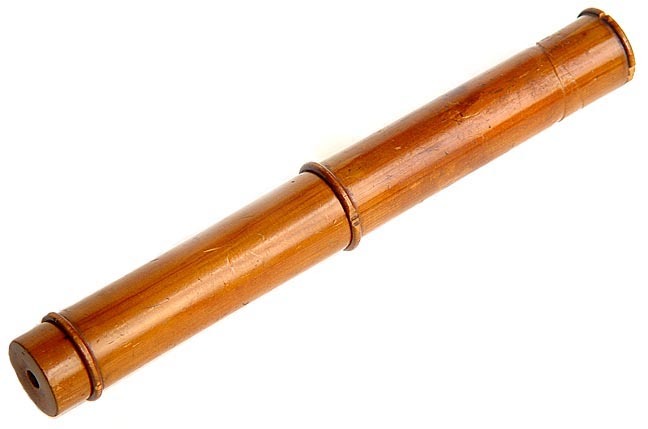 But regardless of all these new technologies, we all keep carting around our space-age versions of Laënnec’s hollow wood stick, draped around our necks, ready to bonk us in the eye if we make any sudden moves. Why? We are, in that moment, the most harmful species of liar – the liar that believes the lie. "Jerry, just remember. It's not a lie... if you believe it." The stethoscope is a vestigial element of the physical exam, and ought to be retired. Sort of the tone I'm shooting for. First off, the physical exam in general is not that helpful. While revolutionary in its day, the 'scope has seen its diagnostic performance plummet as medicine progressed. Pneumonia provides the best example of the limited contemporary accuracy of the stethoscope. A systematic review in the Emergency Medicine Journal concluded that "pneumonia cannot reliably be confirmed or excluded by auscultation, or indeed physical examination, alone.” The most recent study in that review looked at patients coming into the ED with “chest symptoms,” and looked at how the diagnostic impression changed from pre- to post-auscultation, and then post-discharge. The vast majority of the time, about 95%, the clinical impression did not change after using the sacred hollow stick. Might have better luck with a Harry Potter replica wand. Pneumonia, in particular, was diagnosed correctly in 45% of patients with history alone, and only improved to 49% after the exam. An earlier study looked only at CXR-verified pneumonia, and blinded the auscultators to the clinical history. It wasn’t pretty – the sensitivity of the 3 examiners ranged from 47% to 69%. Specificity wasn’t much better. This all comports with a JAMA metaanalysis from 1997 that concluded that “no individual clinical findings, or combinations of findings, that can rule in the diagnosis of pneumonia.” Specifically, while one study was wildly bullish on egophony, all the auscultation signs were of variable sensitivity, and generally low yield. While some authors have stated that “highly-skilled sonographers“ are required to diagnose pneumonia with ultrasound, a recent study required pediatric EM doctors to undergo only 1 hour of training. Despite this limited education, the sensitivity and specificity of US for CXR-proven consolidation was 86% and 89%. However, another study, using CT scan as the gold standard, found US to be far more sensitive than CXR. A raft of other studies have come out in the last few years (do they ultrasound anything but lungs in Italy? ), backing up these results. So, why are you carrying that MRSA biofilm-vehicle around the same neck your kids touch? If you really need some jewelry to identify you as a doc, you can get a stethoscope earring. Cute as heck, and unlikely to get covered in MRSA, or give you a black eye. Oral contrast for abdominal CT? This material is educational, and is not intended to serve as hospital protocol. Mostly, it's here to serve a quick reference for myself, and for impromptu discussions with PAs and residents. Oral contrast is contraindicated in suspected SBO. IV contrast is preferred, but not required. Oral contrast is not required, but may be beneficial in extremely thin individuals (e.g. BMI < 18), or non-obese children. Some have suggested that PO contrast might be needed in extremely thin individuals (e.g. BMI < 18). See the discussion below in "Unclear etiology." A 2011 retrospective study in the Journal of Surgical Research found that oral contrast did not reach the cecum in 1/3 of patients. Furthermore, “there appears to be no diagnostic compromise in those without contrast in the terminal ileum. A 2006 prospective study in Emergency Radiology looked at patients with undifferentiated abdominal pain in the ED; 1/5 of them had LLQ tenderness, and diverticulitis was the second-most common suspected diagnosis. All patients had CT scans with and without PO contrast; no IV contrast was used. Although there were discordant interpretations between the (+) PO and (-) PO CT scans, the authors found that a “significant portion of the discordance was attributable to interobserver variability.” Thus, it would appear that a CT scan without either PO or IV contrast could be accurate in the diagnosis of diverticulitis. Oral contrast may not be needed for undifferentiated abdominal pain, as per the discussion of the study in Emergency Radiology noted above. However, in a 2012 study in Emergency Radiology that examined the use of PO contrast in undifferentiated non-traumatic abd pain, the authors excluded 2 groups of patients. They excluded all “subjectively thin” patients, but did not provide cut-offs. They noted the research that suggests this exclusion is unnecessary, and may be dropped in the future. They also excluded patients at high risk for having an intra-abdominal fistula. Primarily, they targeted patients who had had a Roux-en-Y gastric bypass, or who had IBD, disposing them to fistula formation. Is the shoulder in? Use ultrasound! It was a classic “good news/bad news” sign out. The attending who was signing out to me admitted that this wasn't the cleanest sign-out, but they had a plan. 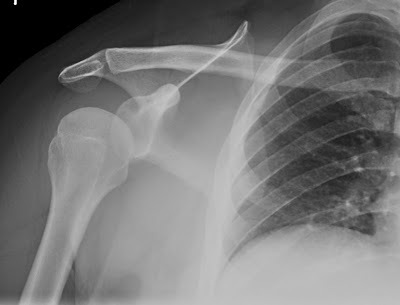 The bad news: the patient likely had a shoulder dislocation, but the read on the X-ray was equivocal. "Can I order a clinical correlation?" Given this unclear picture, the plan was to try sedation, and pop it back in place. The good news: the attending had already tasked a senior resident and the orthopedics PA-C to perform the sedation and (attempted) reduction, and they were champing at the bit to do the procedure. I looked at the X-ray, and re-examined the patient. As he was young chubby guy, it was difficult to be sure of the exam. Since both my exam and the X-ray were so unhelpful, I stalled the resident and PA-C while I grabbed the ultrasound. 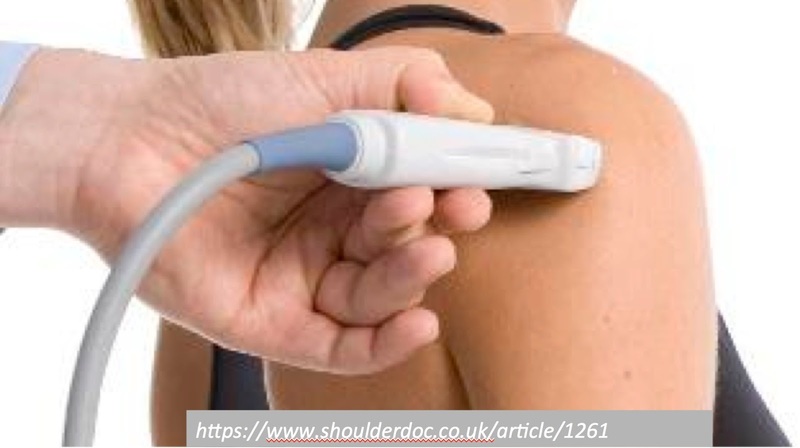 Now, ultrasound is not usually thought of as a great test for shoulder dislocation. The usual approach to definitively excluding a glenphumeral dislocation (especially posterior dislocation!) is to obtain an axillary view, shooting up through the armpit. 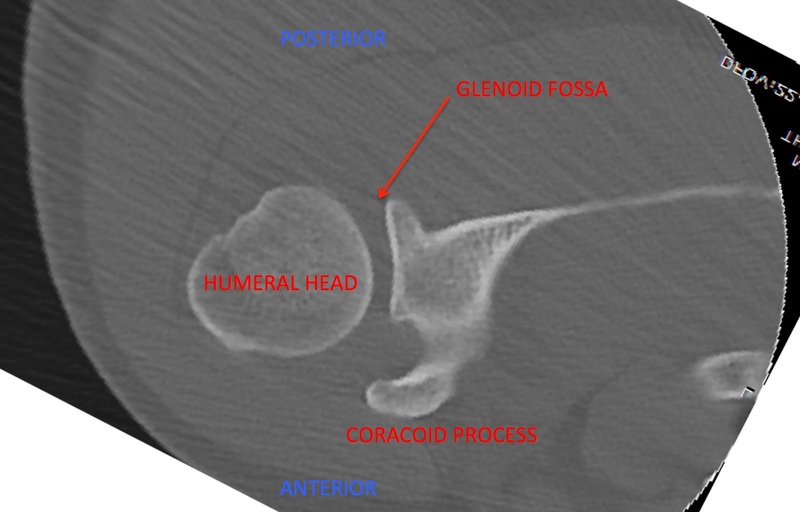 And of course we can always get a CT of the joint. 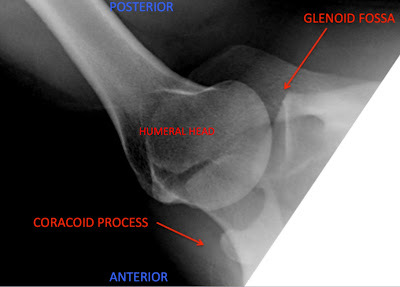 I hope you can see how the head of the humerus is well-seated in the glenoid. But despite this dazzling proof, x-rays and a CT were needed to convince ortho that the shoulder was not dislocated, and that no sedation and tugging were needed. Ultrasound for the ... Wait, what?! The resident was cheated out of a procedure! So, know the downsides ahead of time. High-flow nasal cannulas: Not yet ready for ED use. What is high-flow nasal cannula (HFNC) therapy, and, more importantly, does it work? 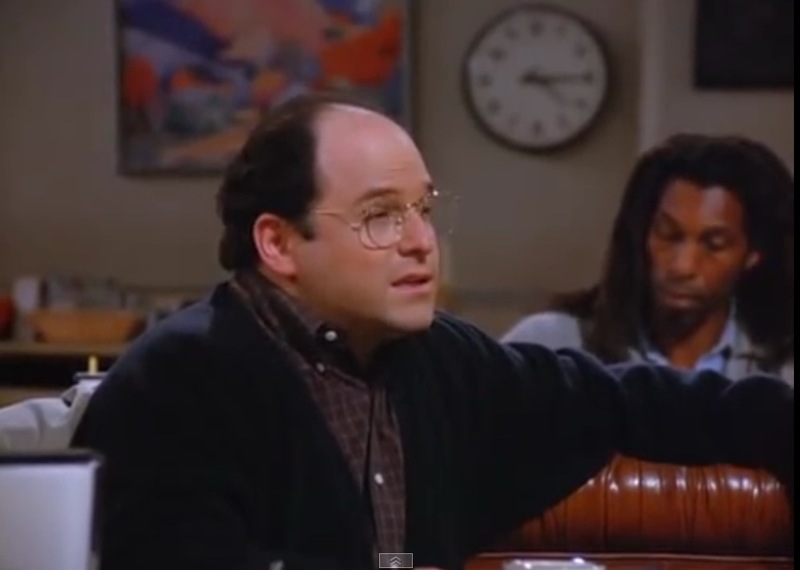 A recent segment on EM:RAP went into a fair amount of detail about the putative mechanism, so I’ll leave that alone. What that segment left out, though, was any discussion of the published evidence pointing to the benefit of HFNC. And indeed, while there are a lot of anecdotal reports and personal testimonials, the actual data hasn’t been clearly discussed. Here’s a quick review of what we currently know. It may help prevent intubation of little kids with bronchiolitis, although the data is weak. The two most relevant studies were retrospective chart reviews, using a before-and-after design, looking at overall rates for intubation in the time period after HFNC was introduced to the pediatric service. Nonetheless, McKiernan found that intubation rates for bronchiolitis dropped from 23 % to 9%, and Schibler found the rate plummeted for 37% to 7%! This may end up being one of the best-supported roles for HFNC, and high-quality studies are in progress that could help clarify the issue. The initial trials in adults have demonstrated modest improvements in oxygenation, but haven't studied patient oriented-outcomes. For example, one study found that oxygenation mildly increased after HFNC initiation, but no control group was used. In one controlled trial, versus face mask, fewer desaturations were seen with HFNC. Despite this, there was no statistical difference in the use of rescue CPAP/BiPAP. A few other studies have further noted that HFNC seems to be more comfortable than CPAP. Being an “early-adopter” is cool – if you’re lining up to get the new iPhone or Zune! In medicine, however, it doesn’t often pay to jump on a bandwagon before the data is in. 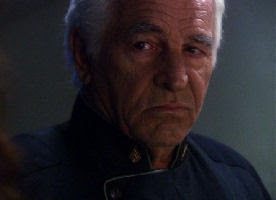 (Want to buy some Xigris cheap?) We are being encouraged to try a new therapy that uses proprietary (proprietary = $) devices, with soft indications, scant evidence, but with touted outcomes such as “improved comfort,” instead of mortality or rates of intubation. We should be cautious. Particularly concerning is the uncritical enthusiasm for the use of this device in situations that either clearly call for other therapies, or for no therapy. For example, some describe the utility of HFNC in patients who are “extremely hypoxic,” but there is little evidence that HFNC improves outcomes in this population. HFNC is probably more useful for precisely titrating FIO2 in the (mythical?) CO2 retainer. But if there is a concern about the PaCO2, why not use a proven therapy like NPPV that we know saves lives? Lastly, some clinicians promote the use of HFNC for CHF, since there is (wink, wink) a “PEEP component,” but that’s a patient who needs CPAP or BiPAP as well, since we already have proven a mortality benefit in that population as well. Sure, you can relax, talk with family, and eat while wearing HFNC, but if you are so dead set on wolfing down a sandwich, you probably don’t need an expensive, unproven therapy. 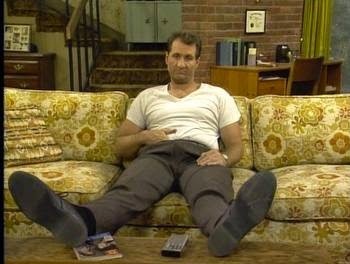 You need 2 liters per minute, and a floor bed! Femoral pulse during CPR - Arterial or Venous? There are many uncertainties about how each of us will die. Based on my experience in the ED, however, many of us will spend our last minutes on Earth with a stranger's hand shoved into our groin. I'm talking about the checking the femoral pulse during CPR, of course. It's a well-enshrined part of our resuscitation practices, but what it is it actually telling us? The idea, of course, is that effective CPR will produce an arterial pulse, albeit weak, that will generate a cardiac output about 20% of normal. Palpating a femoral pulse during compressions supposedly verifies that the CPR is being effectively delivered. Evidence that the femoral pulse is venousHowever, there is some uncertainty about what a palpable femoral pulse actually represents. 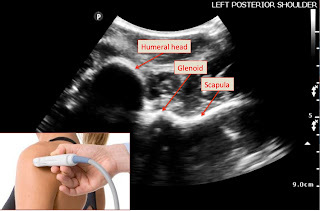 Hilty used ultrasound in a study of central line placement during cardiac arrest, and noted that 9/20 patients appeared to have femoral venous pulsations, rather than arterial. Note that this was in the dark ages of ED ultrasound (1997), back before Christian Doppler was born. The femoral vein shows much brighter signal than the artery, suggesting that the venous flow far exceed the arterial. Of course, since this is power doppler, we don't know the direction of the flow. Evidence that the femoral pulse is arterial? Cardiac arrest, asystole when EMS arrived in the ED, the LUCAS dutifully chugging along. The femoral artery seems to show a fairly well-defined arterial pulse, while the femoral vein has a turbulent, almost "yin-yang-like" character, that does not suggest effective flow. So based on this clip, it seems like the femoral pulse indeed reflects arterial impulses, not venous. So, what does the femoral pulse tell us about CPR quality? Not much, probably. 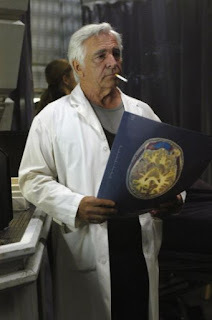 The scanty and conflicting "evidence" (i.e. collection of anecdotes) reviewed here doesn't make it clear if pulsations in the groin are coming from the artery, the vein, or perhaps even both. This looks like a promising avenue for an emergency ultrasound study! In the meantime, assessing the quality of CPR is likely best done with end-tidal CO2, although a recent Ultrasound Podcast episode suggested using focused echo to optimize compressions.